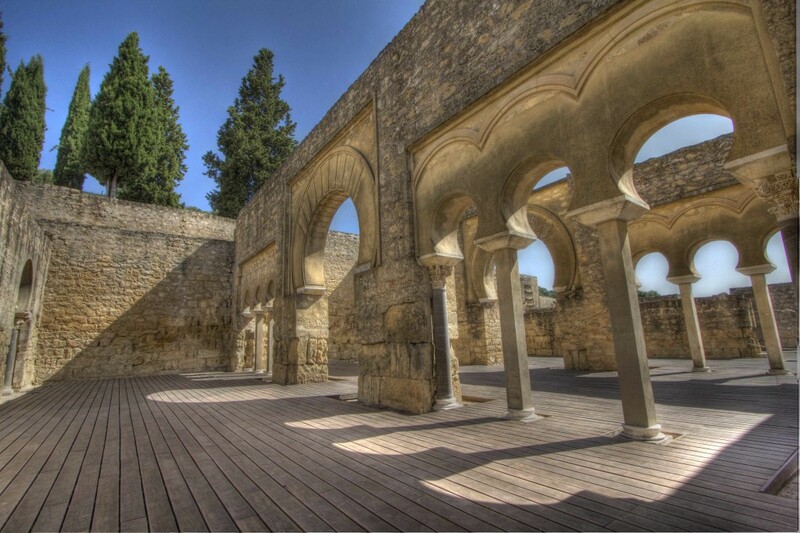 The ruins of Madinat al-Zahra, upper basilical hall, near Cordoba. It’s well over 100 degrees and the Spanish sun feels like a physical weight on my skin as I descend dusty stone steps to the skeletal ruins of Madinat al-Zahra. Though it’s difficult to believe now, this parched landscape a few miles outside of Cordoba was once a magnificent palace resplendent with thousands of fountains, an architectural marvel exquisitely decorated with jasper and marble and covered in lush greenness. The shining glory of the Umayyad Caliphate built by Abd ar-Rahman III, it was a 10th century Versailles, “the ornament of the world,” a shining jewel of Southern Spain. At its height, the Cordoban Caliphate was a model of interfaith cooperation, with Jews, Arabs and Christians living in relative harmony. 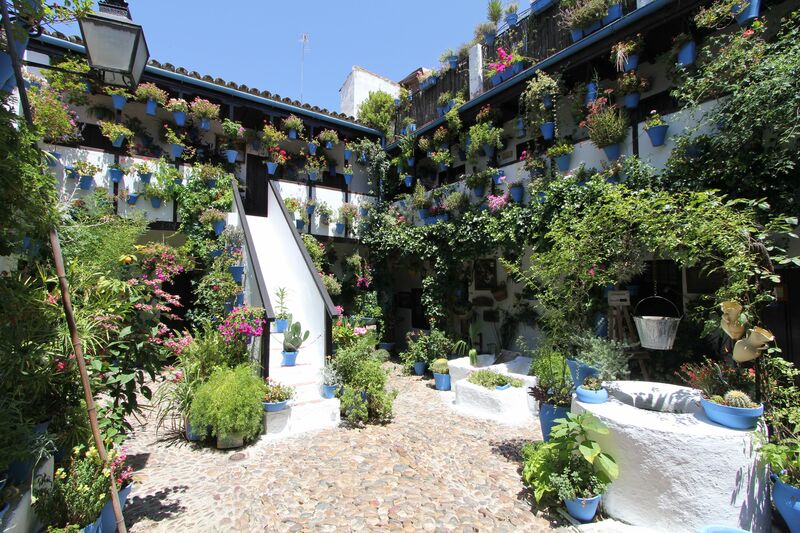 This period of peace allowed for a cultural flowering and, for a time, made Cordoba one of the great artistic, intellectual and scientific centers of the world. 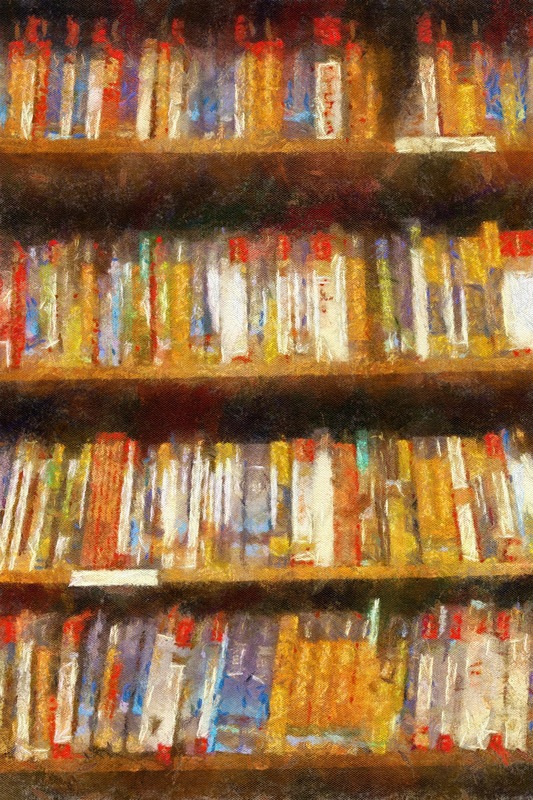 When the largest library east of the Pyrenees held no more than 400 manuscripts, Cordoba had a catalog of 600,000 titles in just one of its 70 libraries, and scores of translators kept alive great works that might otherwise have been forever lost to history. 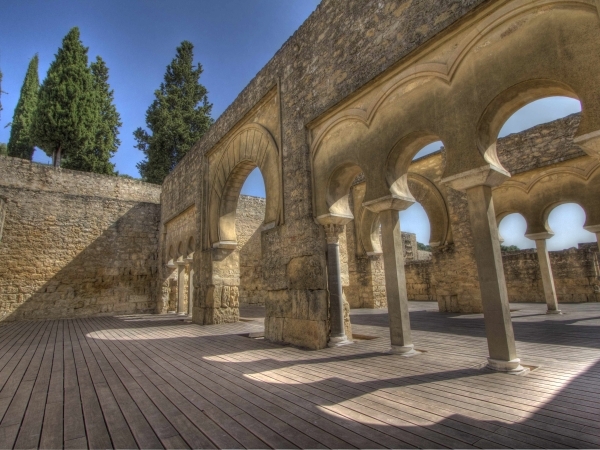 Supposedly named for Abd ar-Rahman’s favorite concubine and situated on three terraces sloping down from the Sierra Morena Mountains, construction on Madinat al-Zahra commenced in the year 936 and it took forty years to complete. It only stood until 1009 when fundamentalist Muslim Berber mercenaries from Africa destroyed it. A mere 10% of it has been excavated. The rest has remained buried for a thousand years. 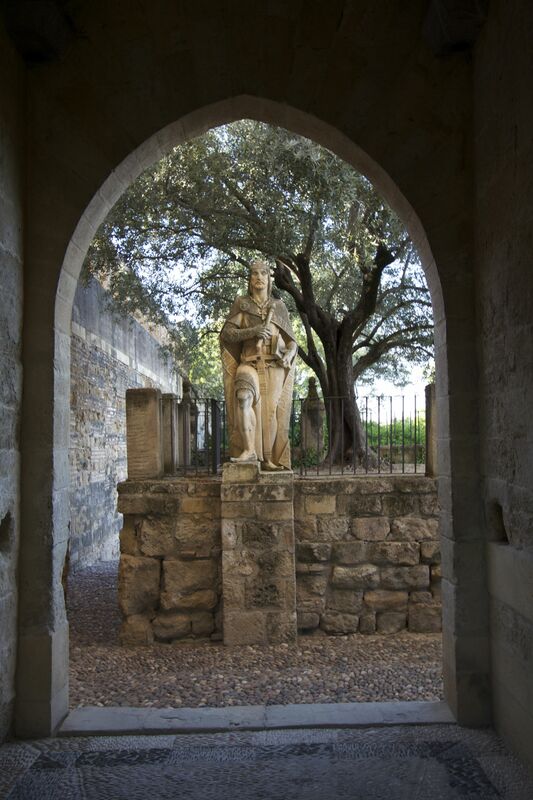 Horseshoe arches frame the tepidarium in the beautifully restored Arab Baths of Santa Maria. 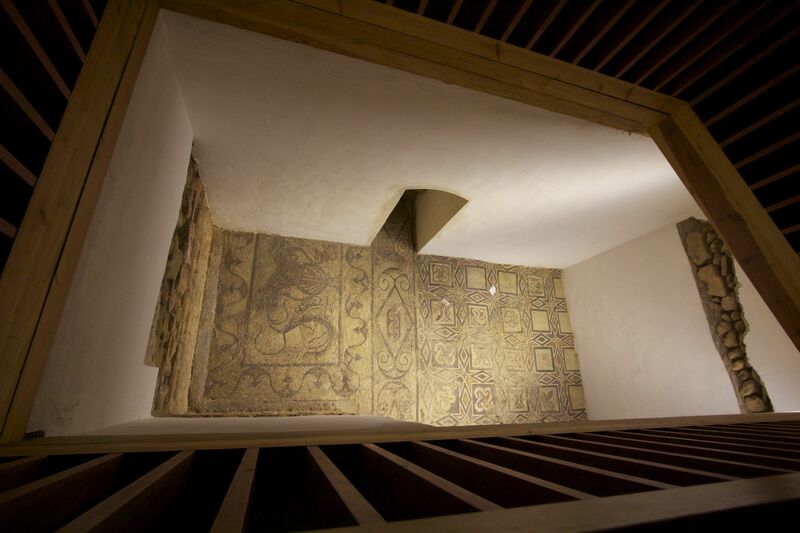 The past few years have seen an enthusiastic effort on the part of the Spanish government to reclaim that buried history, with an impressive and sensitively designed visitor center featuring a slick, modern theater that brings the story of this chapter in Spanish history to vibrant life. After the multimedia show in the visitor’s center, I walk outside again to stare up at the graveyard of Madinat al-Zahra and feel strangely happy. A vast ruin, however grand, wouldn’t seem like a sight to inspire wonder and optimism. But it does. After all, if such a thing existed once before, it could be brought forth again. Ruins are advertisements for opportunity. Or maybe the heat’s getting to me. Probably a little of both. Maybe I should be getting back to the hotel. 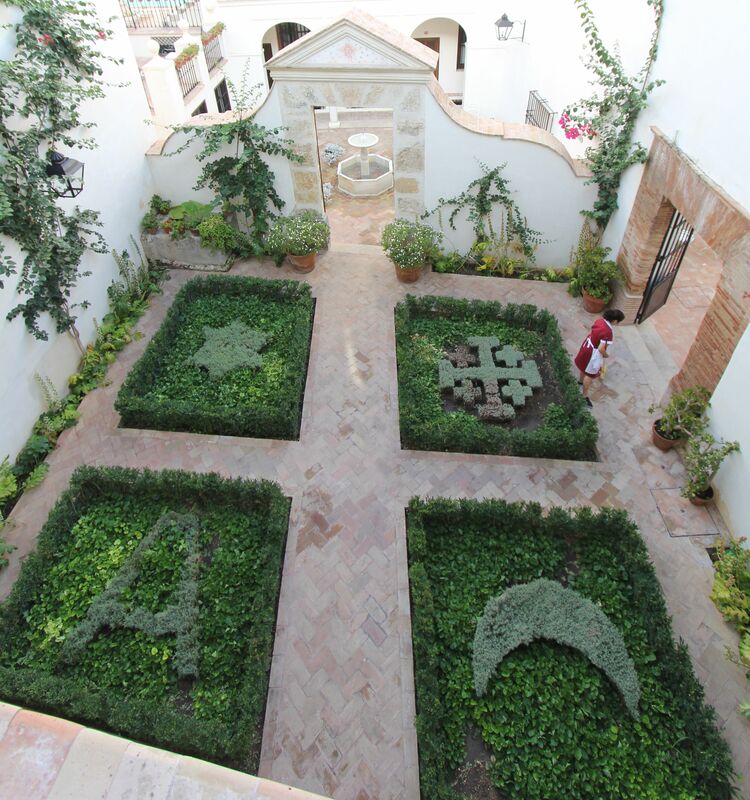 The Hotel Los Casas de La Juderia was created by linking together several adjacent structures into a single, estate-like hotel, now home to fountains, elegantly manicured gardens and quiet pools. Located at the heart of the historic Medieval Jewish quarter, it is central to all the major sights and offers a host of comforts, endless antique charms and excellent food. Lavish yet understated, it is a tranquil respite from the intense Cordoban summer heat. Upon my return, I’m tempted to just topple gratefully over into the classically inspired swimming pool, but I decide instead to take a bath. 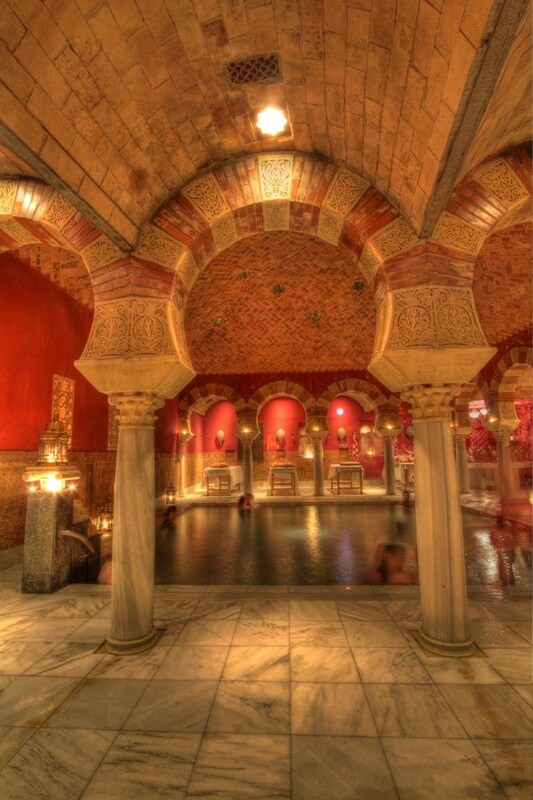 Right down the street from the Mezquita lies the beautifully restored Arabic Baths of Santa Maria, which date back to the time of the Caliphate. 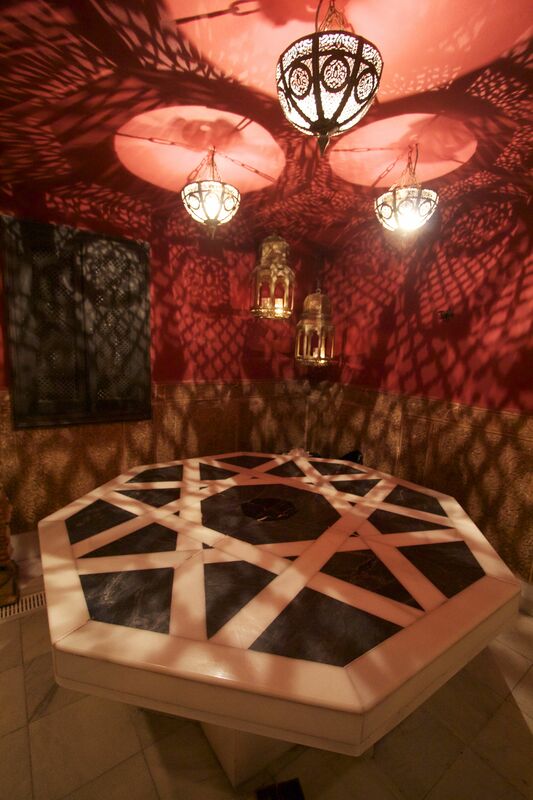 For surprisingly little money, you can move through a Roman-style series of pools of varying temperatures– including a system-shocking cold dip– get a truly expert massage, and then float blissfully under a vaulted roof dotted with star-shaped occuli that throw down shafts of light into the undulating water. 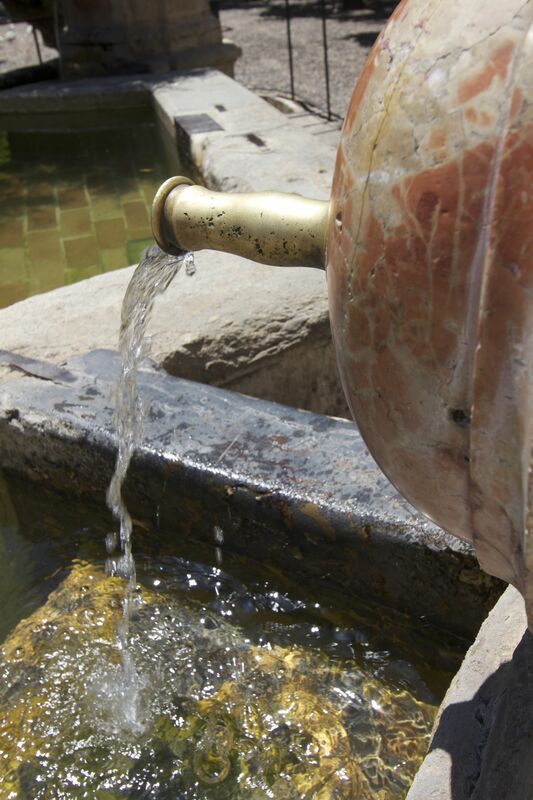 Spend an hour or two here and you’ll feel beautifully restored. 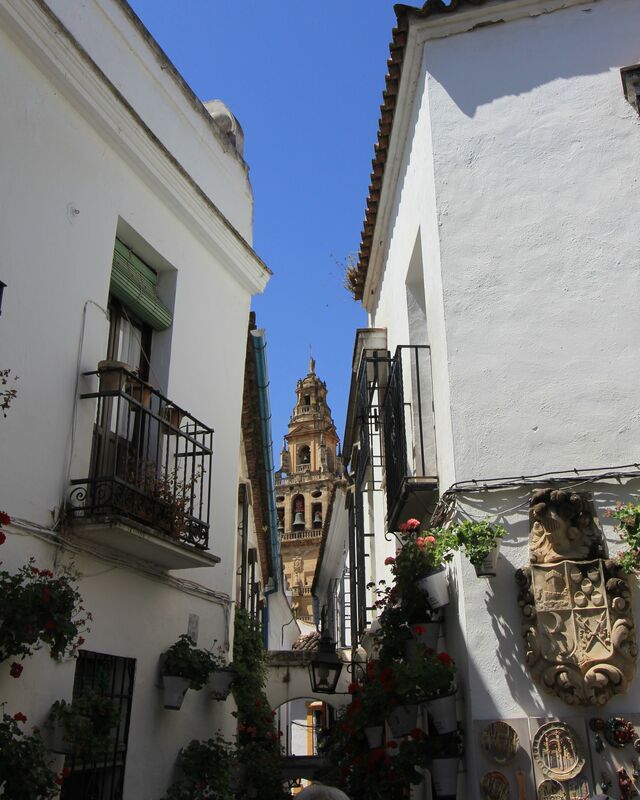 Be sure and stop at the Church of San Bartolome to see a truly exquisite example of Mudejar architecture. The little church is an intricate jewel box of ataurique stucco, elaborate geometric patterns, colorful glazed tiles and the flowing script of Nasji praises to Allah. It is also a fitting amuse–bouche for the feast that comes next. 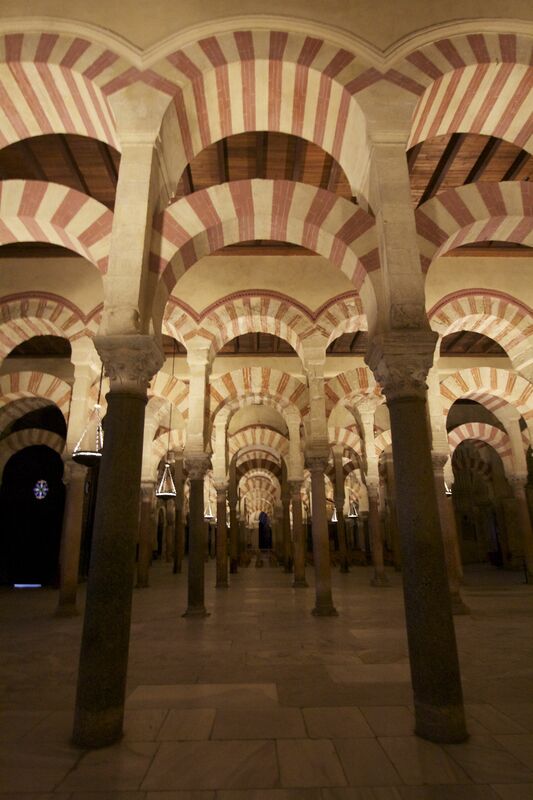 The 857 marble and stone columns in the Mezquita. I’ve wanted to see this structure with my own eyes for decades, yet I’m still not quite prepared for it when I finally enter. This staggeringly huge mosque, continually added onto by a succession of Muslim rulers to meet the demands of the swelling ranks of Muslim worshipers, became the second-largest mosque in the world and could host 40,000 congregants at once. It’s so large you could put a Christian cathedral inside of it and still have lots of room left over. Which, in a sense, is what happened. All that said, the baroque cathedral is still a dazzling sight, particularly when illuminated for the evening tours, and the courtyard is filled with orange trees, fountains and shady places to sit and escape the heat of the day. 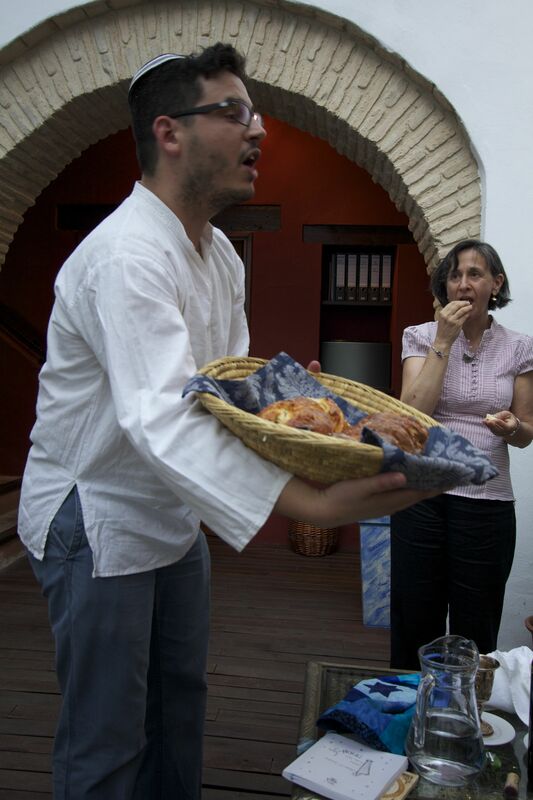 “This is the only challah bread in Cordoba!” says Haim Casas, the Cultural Director at Casa Sefarad. Tellingly, he says it with a smile. I’ve joined Haim and a small group gathered for Shabbat in the intimate cobbled courtyard of Casa Mazal, a marvelous restaurant in the Jewish Quarter. They recite Kiddush, perform the ritual washing of hands, and recite the motzi blessing over the shared bread from Haim’s kitchen. 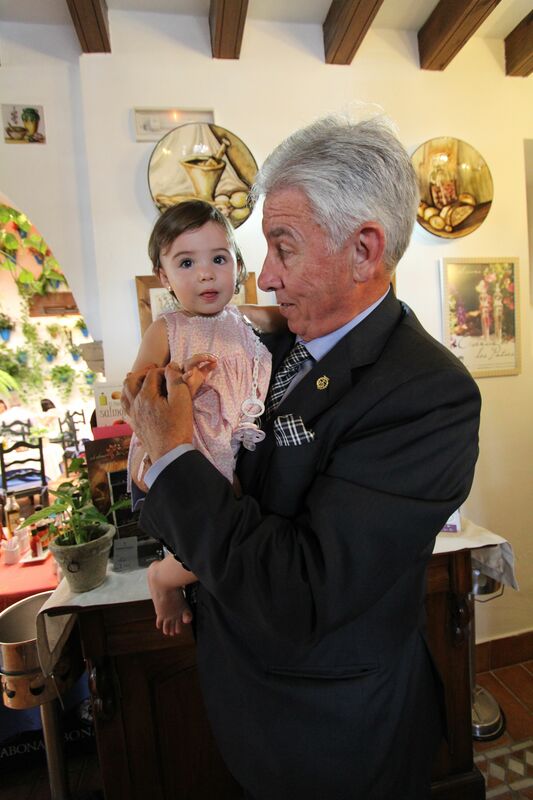 Haim Casas offers his homemade challah for Shabbat. 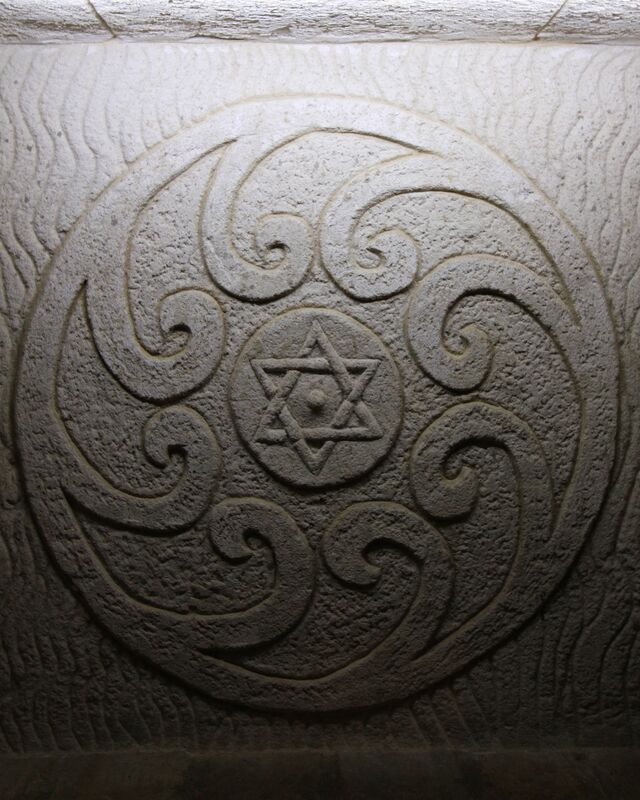 There are no more Jews living in the Jewish Quarter. Only about two dozen live in the entirety of Cordoba. But not long ago, there were none at all. Today, several men and woman of the faith have come to join Haim for this observance. Haim does not initially present as the romantic sort. Far from it. 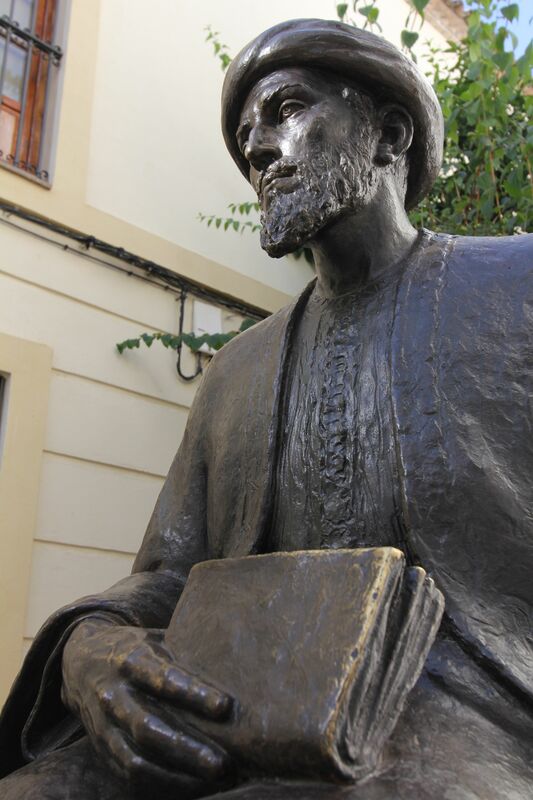 The day before, I had visited Casa Sefarad, the Judeo-Spanish cultural center where he serves as director and he quickly cut through a lot of what the idealistic traveler—that’s me–wants to hear about Cordoba’s history of tolerance and the more recent tourism and governmental initiatives to reclaim it. 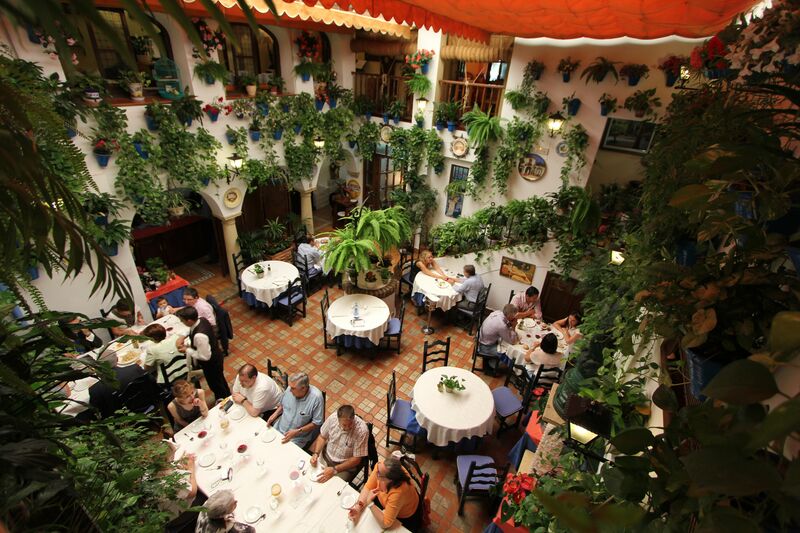 “This is not the Jewish Disneyland,” he flatly states while standing in the canopied courtyard of Casa Seferad. But Haim is a prickly pear, all genial challenges on the outside and warm and welcoming once he takes the measure of my questions. It turns out that Haim’s own personal story is another example of the possibility of reclamation. After the Christians conquered Spain, Jews were offered the choice to convert or to be exiled, and many chose the latter. Haim’s research into his own family history led him to believe that his family was one of those converted to Christianity at sword-point, and he eventually converted to Judiasm. I like that. So much. A simple statement. And a wise one, as it could be taken as either a dispassionate observation, or as a quietly defiant expression of determination, and you must decide for yourself how you feel about it, what your wish for it is. I don’t know which one Haim intends, but I can guess. The artistically lit rooftop bar of Sojo. As Haim leads this small group in their religious observances, I remember his words of the day before. 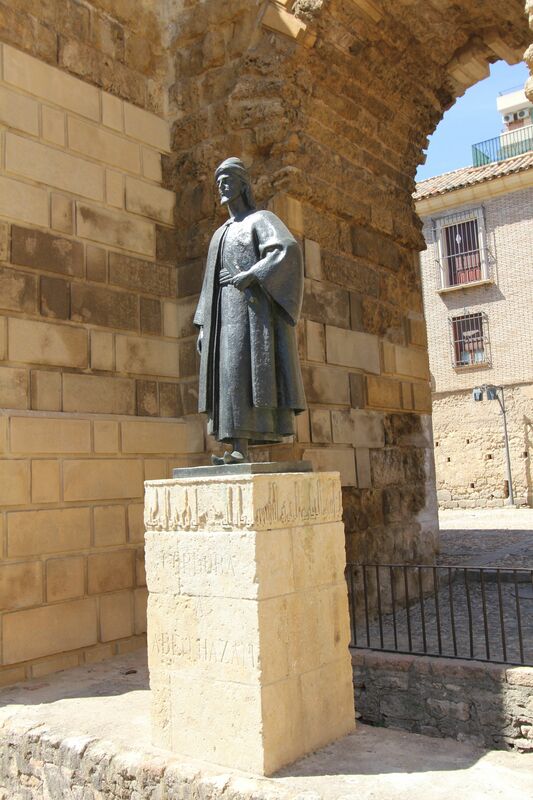 I think Haim Casas surveyed Cordoba’s Jewish quarter and saw possibility, based upon the evidence of history. And I think he laughed when he realized that there was no challah bread for Shabbat in Cordoba, because he knew he could change that. What was green once can be green again. It’s as good a prayer as I’ve heard in a long time. 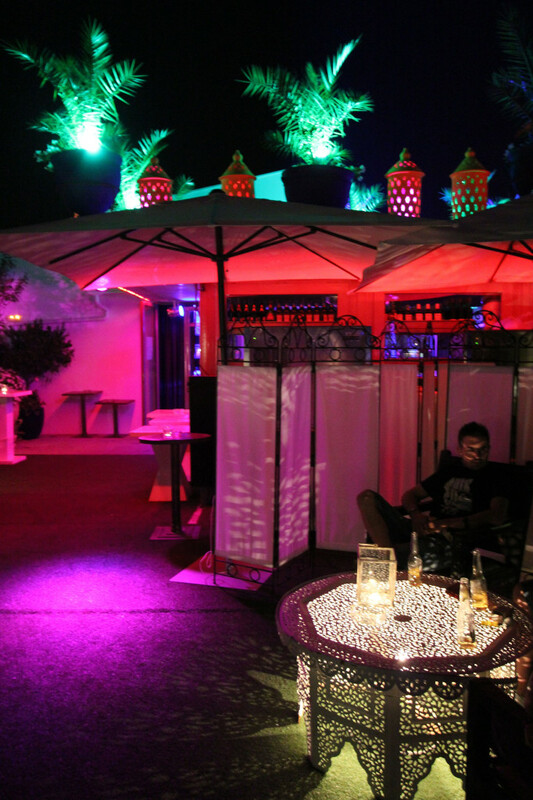 On this, my last night, I follow new friends to Café Sojo, a recommended restaurant and nightclub that offers a great view of the old Roman bridge over the Guadalquvir from a rooftop open-air lounge. This is a posh, nearly hallucinatory hangout with wildly creative lighting and interior design choices courtesy of the gifted Julian Hidalgo Alijarilla. Over a terrific mojito, I think about my time in this vibrant, artistic city. Travel is wonderful, but it can also be terribly reductive. 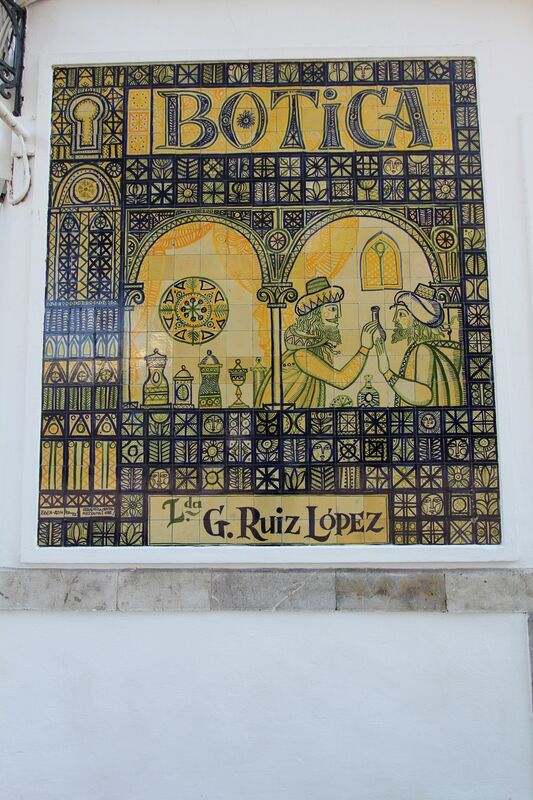 There are many who blitz Cordoba in a single day, dashing from the train station to the Mezquita and then continuing on to Madrid or Seville, not even staying the night. It’s their loss. I was here for three days and feel like I didn’t even scratch the surface. I walk to the roof’s railing to look out over the roiling blackness of the Gaudalquvir river and the ancient Roman bridge that spans it. Even from here, even at this late hour, I can see the Cordobans moving along that illuminated bridge, enjoying their wonderful, thriving city; yet again crossing a dark gulf courtesy of the bright inheritance of their shared history. 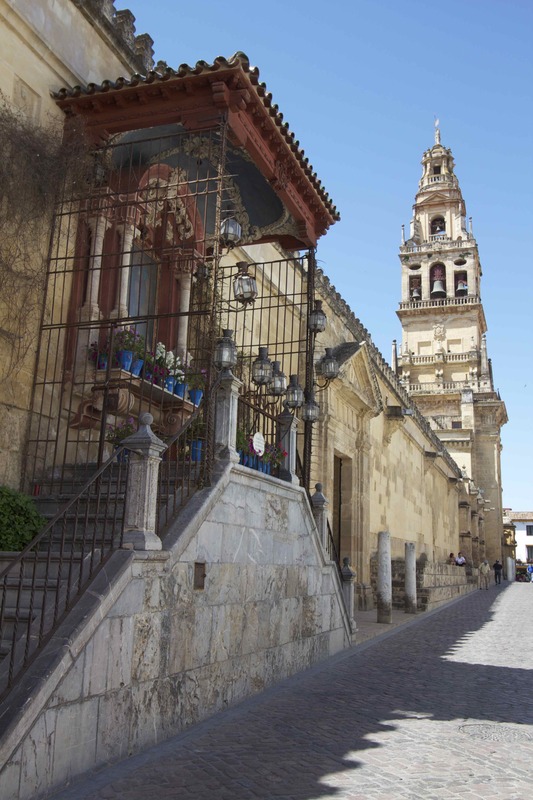 Click on the slideshow below for more views of Cordoba. 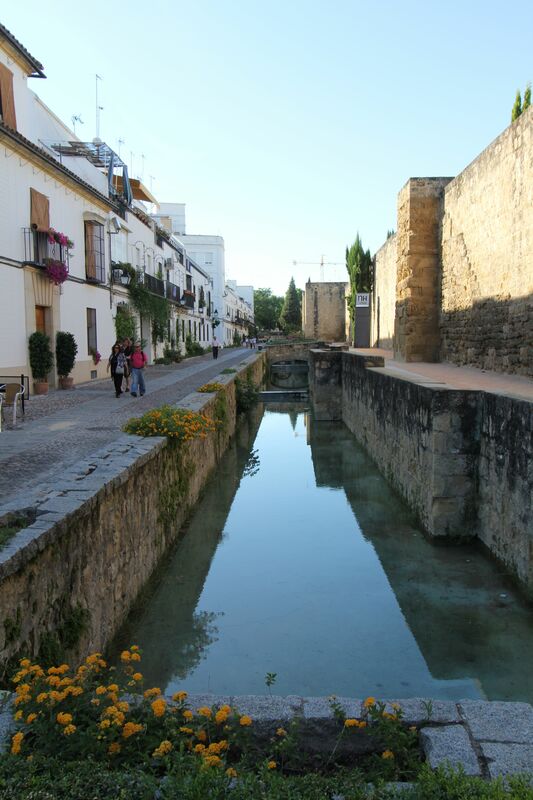 The Arab baths of Santa Maria in Cordoba. The AVE fast train departs regularly from Madrid’s Atocha train station and takes a little under two hours. 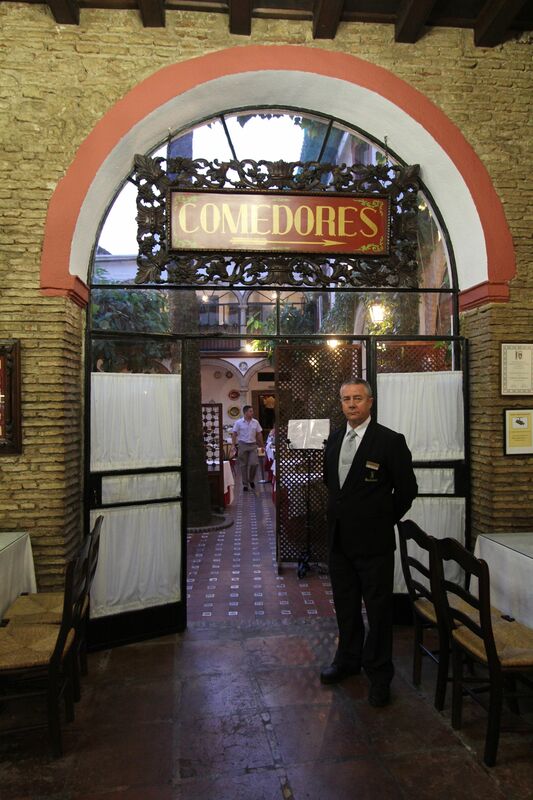 From the train station in Cordoba, The Hotel Los Casas de La Juderia is a quick fifteen minute cab ride away. 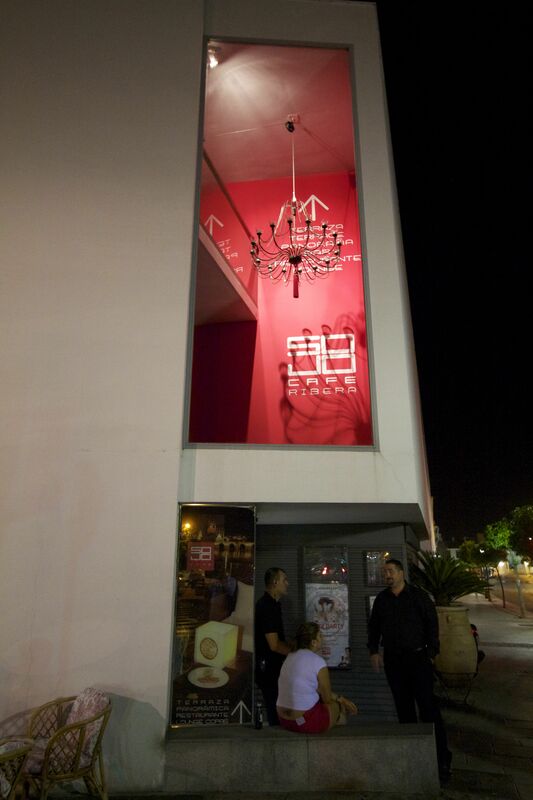 Don’t miss Casa Mazal. 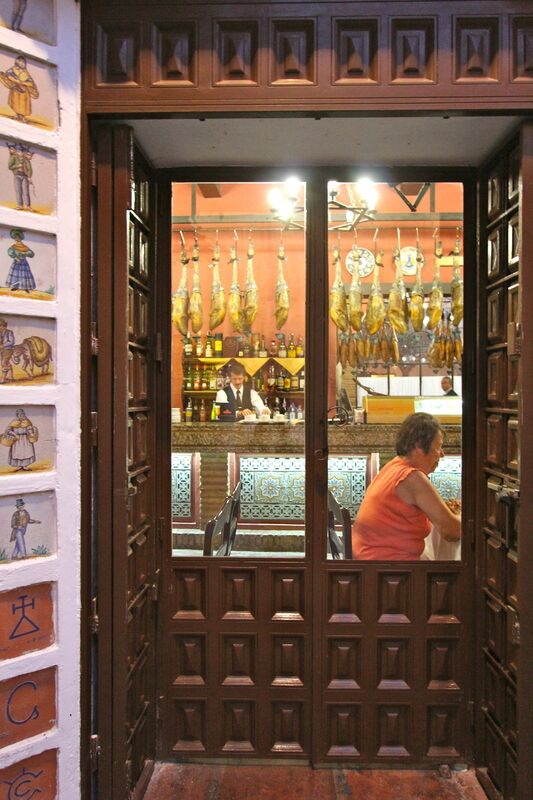 If you can tear your eyes away from your plate, check out the brilliant paintings by local Spanish artists. 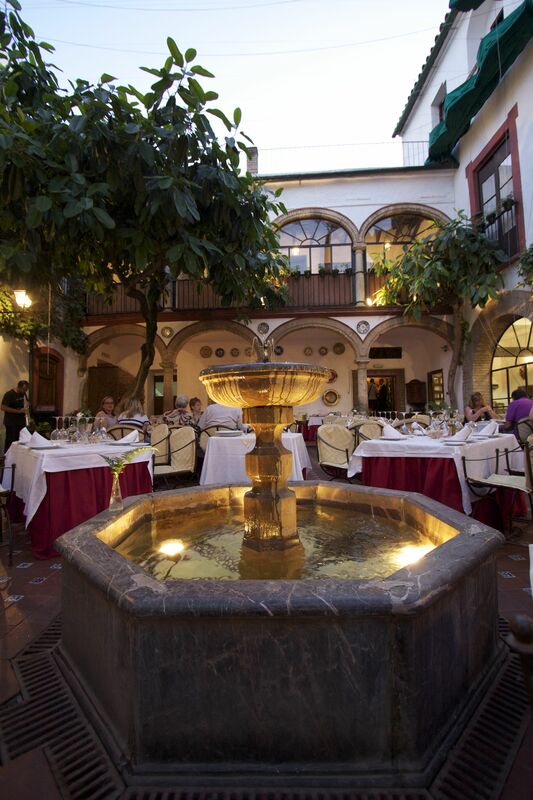 Restaurante Bandolero is a large, dignified, upscale place installed in a 16th century former manor house directly opposite the Mezquita. The courtyard has mature trees and gardens and revolves around a serene fountain, but the food and wine are the real show here. 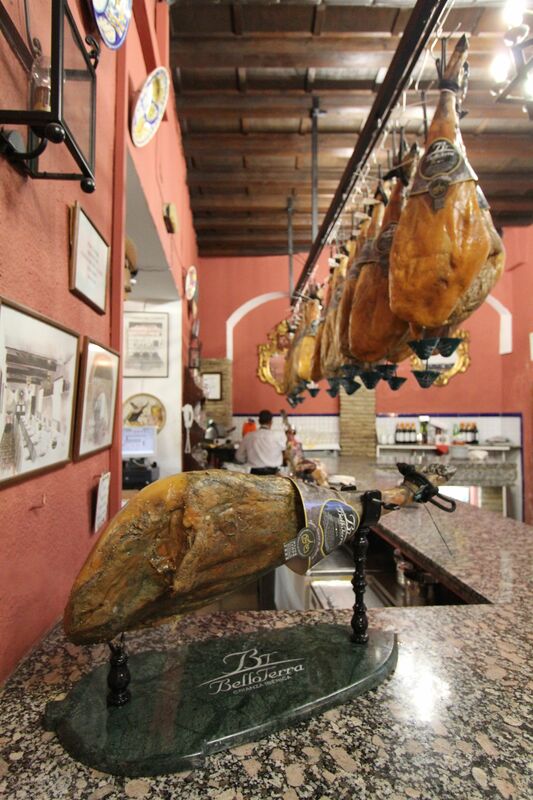 The aged legs of Jamon Iberico– black Iberian pigs raised on a diet of wild acorns– are as good as any I’ve had in Spain. And that’s saying something. 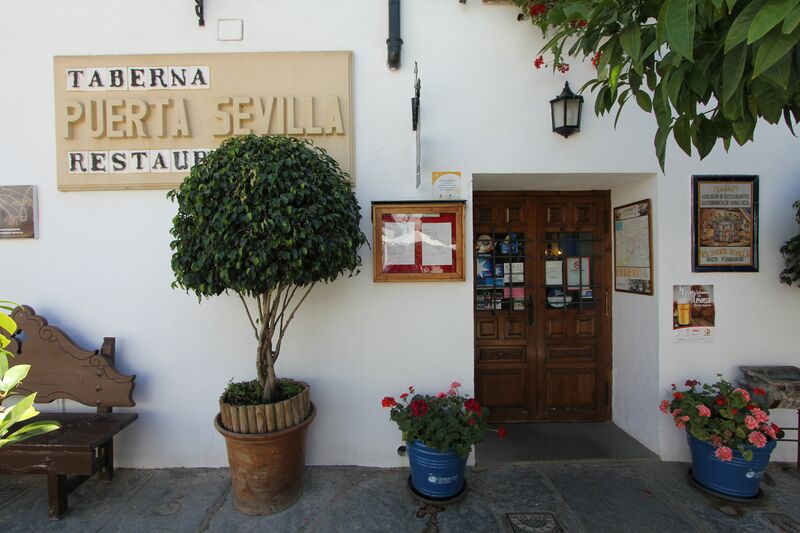 Taberna Puerta Sevilla is located in the district of San Basilio, an enjoyable walk from the recommended Hotel Los Casas de La Juderia. 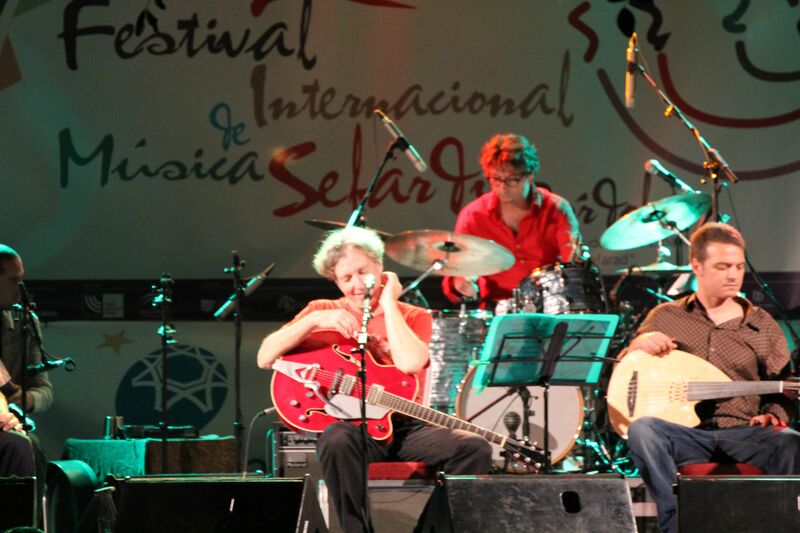 If you find yourself in Cordoba in June, make plans to attend the Annual Sephardic Music Festival here. Truly transcendent stuff, and no translation required. 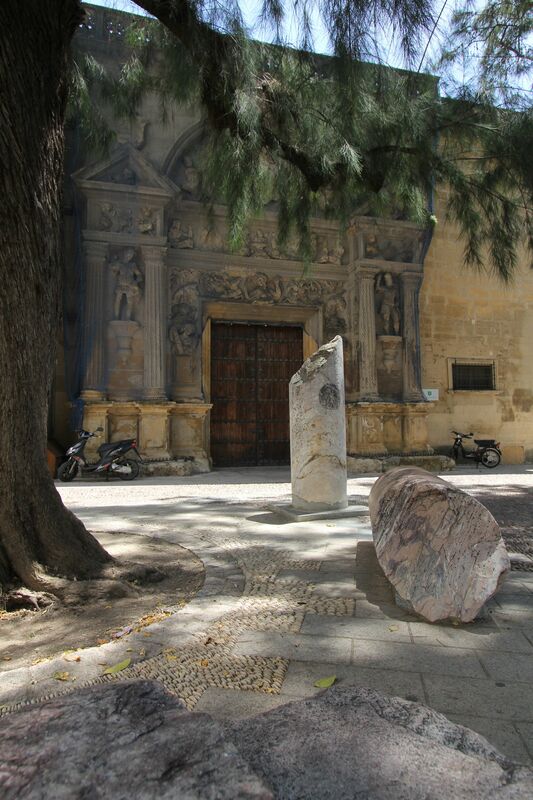 The Synagogue in Calle de Los Judios (No. 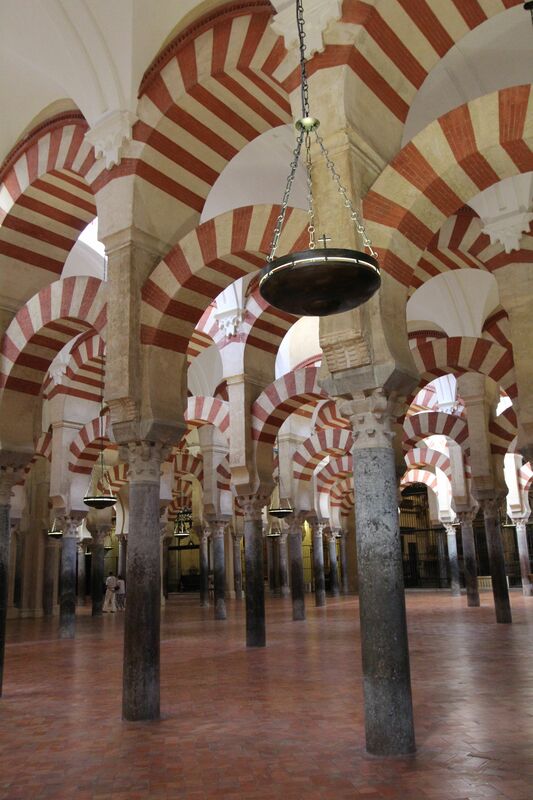 20) is the only remaining Jewish house of worship in Cordoba—one of only three left in all of Spain. 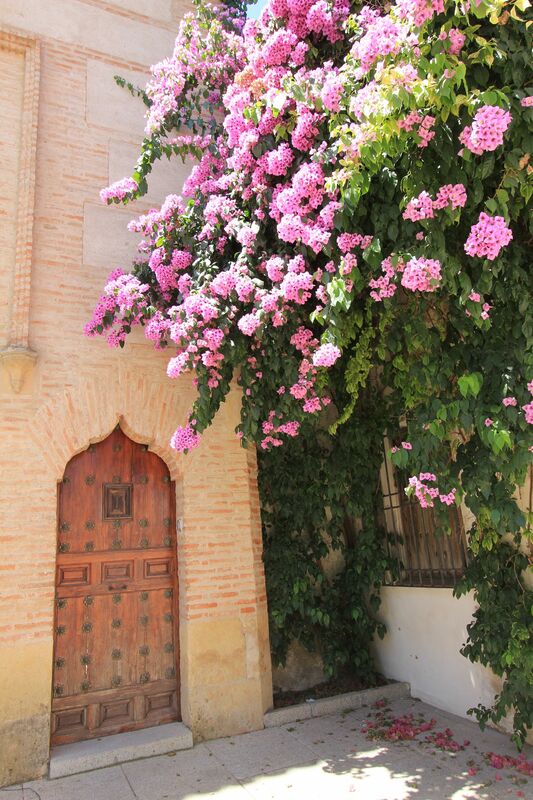 Rediscovered in the 19th century, it features stunning Mudejar decorations. 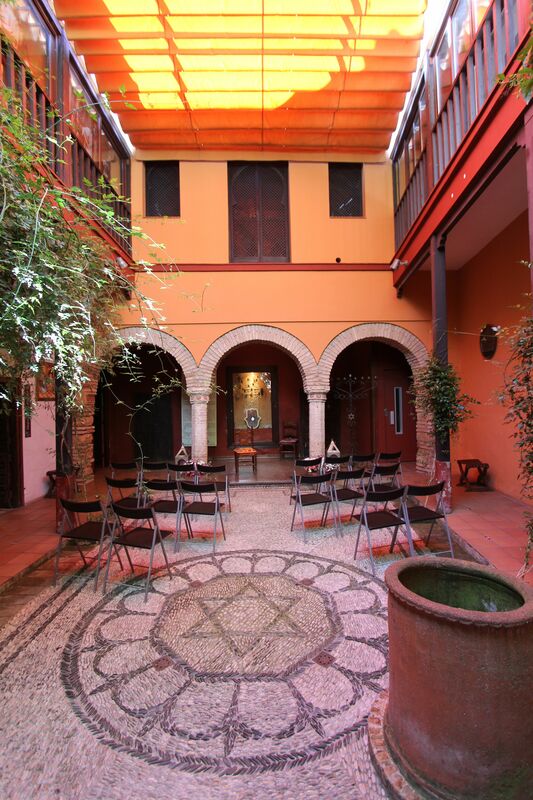 Right across from the Synagogue is the essential Casa de Sefarad, an artistic cultural center of Judeo-Spanish history set in a 14th century structure. The museum is also home to an important and sizable collection of rare books that draws scholars from all over the world. If you’d like to view one of the world’s finest horse breeds in an evocative setting that dates back to 1570, check out the equestrian show, The Passion and Spirit of the Andalusian Horse at the Royal Stables of Felipe II . The Alcazar was the seat of power for the Romans, the Visigoths, the Caliphate of Al Andalus and the Spanish Inquisition. Now it is a home to flowers and bubbling fountains. Consider attending the Water, Light and Sound show, a nighttime walking tour animated by illuminated waters and music.